The plaque erected in 1979 by the Sturt Re-enactment Party commemorates the sesquicentenary of the 1829 journey of Captain Charles Sturt Expedition . 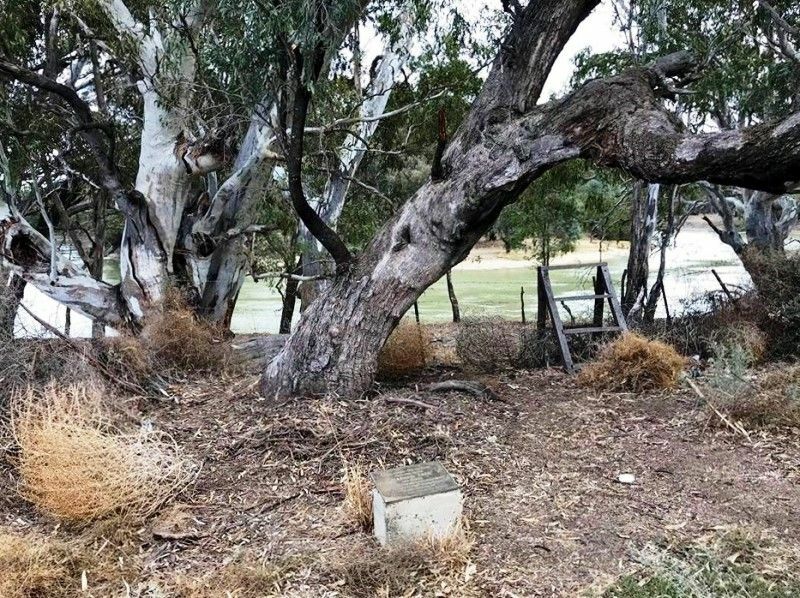 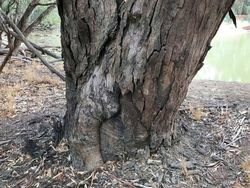 The plaque is situated in front of a Black Box Tree believed to have been marked by Charles Sturt during his exploration of the Murray and Murrumbidgee River. 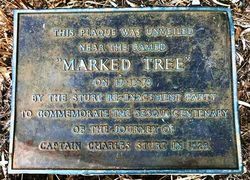 This plaque was unveiled near the famed "Marked Tree" on 17 - 11 - 79 by the Sturt Re-enactment Party to commemorate the sesqui centenary of the journey of Captain Charles Sturt in 1829.